Early March 2016, one of South Korea’s treasures was dethroned. His name was Lee Sodel and he is one of the best Go players in the world. Go is one of the most difficult games to master. The objective of the game — as the translation of its name implies — is to have surrounded a larger total area of the board with one’s stones than the opponent by the end of the game. As opposed to chess which has ~10¹²⁰ possible moves, Go has ~10¹⁷⁰. In 1997, IBM’s Deep Blue computer played Garry Kasparov, known as the best chess player in the world. Deep Blue won the six-game rematch 3½–2½ and becoming the first computer system to defeat a reigning world champion in a match under standard chess tournament time controls. Lee Sedol played Google bought DeepMind’s AlphaGo, in a historic match. 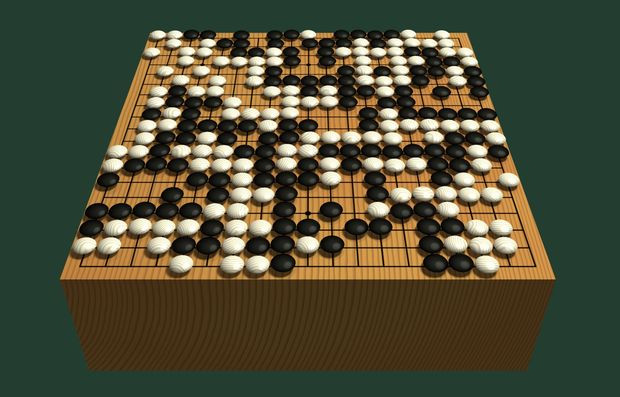 This AI match came sooner than most people thought because of the complexity of the Go game. Lee Sedol said before the matches that either he would win 5–0 or 4–1. He was right. He lost 4–1 matches. There were times where Sedol was even shocked by the moves, as he has never seen them before since his former opponents were human. If it was publicity that Google wanted from this match, they certainly got it. 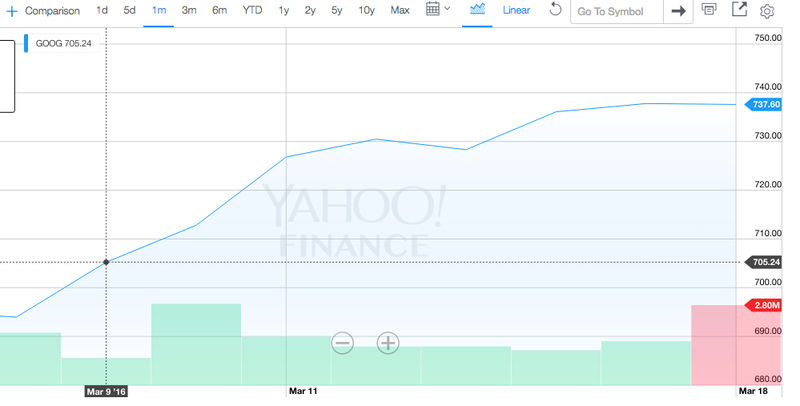 Since the start of the tournament, Google’s stock rose 5% in only a few days. When someone is shopping for a TV they are one step 2 — Conscious Incompetence. They know they need the TV, but don’t have it. 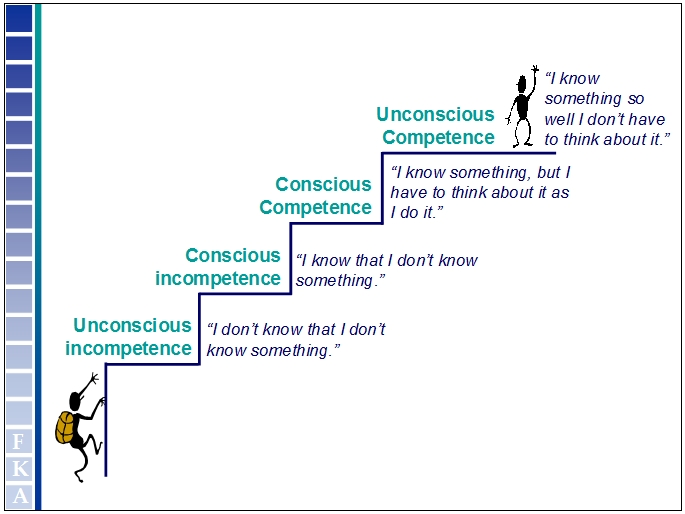 Once they acquire the TV, they become Conscious Competent. And lastly, a month in, once they have formed the habit of sitting down on the living room couch and searching for the remote, they are Unconscious Competent. What South Korea had was Unconscious Incompetent — they didn’t know they had a “lack of AI” problem. If this game wouldn’t have happened and it didn’t shake the nation, as it did, they would have gone on, not thinking about AI. But because Google brought this into their home and showed them the power, of how it can compete with a world class champion and take him down — it made Korea look at AI with respect. how can we show the power of this technology that we’re working on? Have it do (what experts called) the impossible. what is the highest leverage point? Take on a world class champion and win. This will attract media attention. how can we make sure they don’t think it’s a gimmick? Have 5 games, so even if Google loses 2, it’ll only have to win the majority. how can we make it impactful? Have a $1 million dollar prize for the winner. how do we show its resilience? Make the machine play 5 games in 7 days. And with that, Google was able to close an almost Billion dollar deal within a week — with shock and awe. There are many takeaways and lessons in this historic match. Rather than focusing on the negatives of AI, I’d rather draw my energy of Google’s use of a toy (Go playing AI) to win a sale. How can organizations use such “toys” to 1) get its prospects to listen 2) compel and 3) sell? Time to Sell — How Long Did it Take The Big Guys to Sell? Also When Not to Sell.